Victory Motorcycles shut down their operations in January 2017, after Polaris was not able to keep up with manufactures likes Indian Motorcycle and Harley Davidson. But this did not let John’s ambition to make a custom built Arlen Ness Victory Motorcycle, fade away. 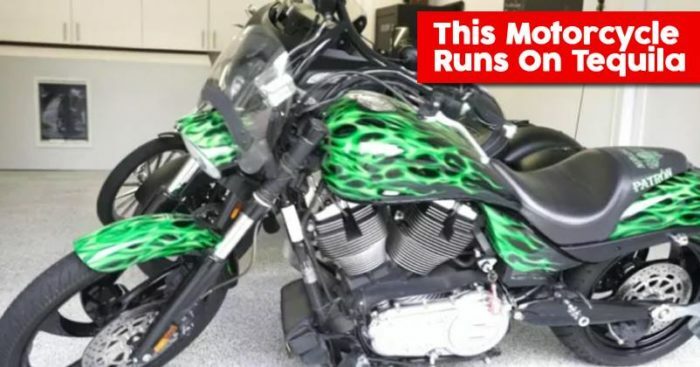 The owner of Patron Spirits Company, John Paul Dejoria is a wealthy billionaire and has a fancy for high-end motorbikes. He happens to own a fleet of Beemers, Indians, and Harleys, but his most proud collection has to be the 2008-09 Arlen ness and Victory Motorcycle that runs on not petrol but Tequila! Yes a motorcycle that says ‘Powered by Patron’, where Patron is a brand of tequila in Mexico, owned by John himself. The lime green livery and Patron logo highlight the brand’s tequila and the fact that it runs on it as well. 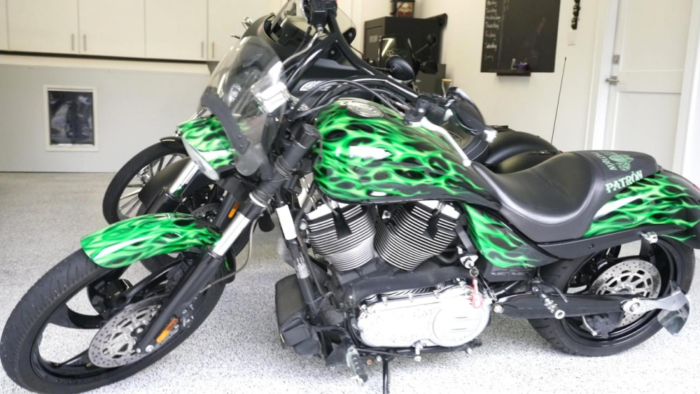 Arlen Ness and Victory Motorcycles designed this custom bike. They have re-tuned the carburetor so that it can run on tequila containing 38-55% alcohol. 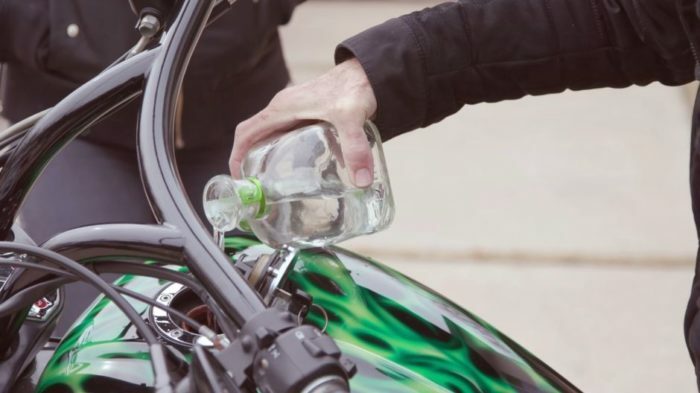 Both Victory Motorcycles and Arlen Ness have not disclosed any other details of changes made in the bike to make it compatible with tequila. Well, the only big detail we know is that it takes $1200( Rs 85,900 approx) to fill up its 10-gallon tank one time with the Gran Patron Platinum Tequila. So now we know that what rich people do with their money, when they have loads of it.